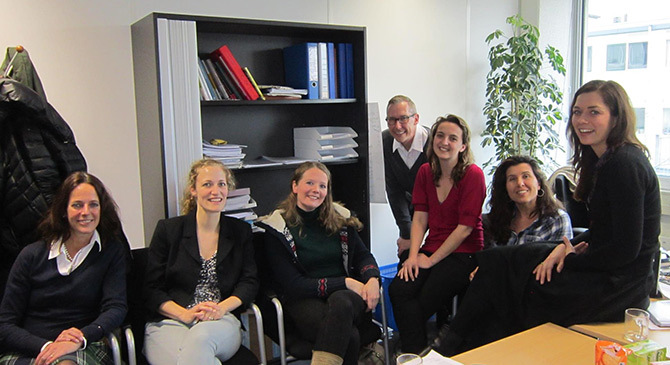 Known fondly in Holland as “Charlie’s Angels” pictured is the MST-CAN Amsterdam team. Congratulations to the team for being at the end of their 2-year transportability pilot. You have done well. In the picture left to right: Monique (supervisor), Femke, Willemijn, Joanne, Mujdelin, and Marianne. In the back is not Charlie but their MST-CAN expert Kevin. Missing are Odette, Program Director and Iris – former therapist off to get her Ph.D. but still part of the family. Global Family Solutions, LLC © 2019 ~ Multisystemic Therapy for Child Abuse and Neglect. All Rights Reserved.